Do you have a favorite cruise line? It’s an interesting phenomenon among cruise travelers and their cruise line preferences. Yes, the major cruise lines attract thousand upon thousands of passengers each year and dominate our waters but there are many which concentrate on a particular stretch of water which are not as well known yet effective hosts. The competition among cruise companies today is fierce; this is evident simply by the race to build the ocean’s biggest ship intensifies and the good news is, you the passenger can certainly benefit. Repeat business is big business in the cruise line industry and companies realize they need to over-deliver to keep passengers coming back again. This is where you come out a winner. So which are the most famous cruise lines in the world? Remember, some companies have been around a long time and are still going strong while others are relatively new. It’s difficult to place them in a pecking order and we won’t attempt to do that within the scope of this article. For those people who wish to visit different and exotic destinations all across the United States, American Cruise Lines are one of the popular cruise lines that can take travelers to cosmopolitan cities, as well as visit remote islands that dot the coastline of the country. In addition, there are experts who teach the passengers about the nature and history of these locales. The intimacy of the experience is further enhanced by small ships that provide a great degree of comfort and coziness. Another very famous cruise line is the Cunard Line , which makes travel an experience to be savored as the ship traverses the oceans majestically and is far removed from some hop across the pond type of ocean crossings. Traditional luxury crossings, which began in 1840, went a step further when the Queen Mary II was launched in 2004 to become the flagship known as The Most Famous Ocean Liner in the World. This is the tallest, longest, largest, and most expensive ocean liner in the world and boasts of unparalleled amenities and accommodations. For those who want a complete and memorable family experience, there is the Disney Cruise Line , which offers passengers packages and activities that meet their unique needs. This cruise line is owned and operated by the dream makers, Disney, and it sails to the Bahamas, and has land and sea vacation packages that include a stay at the Walt Disney Resort. With 15 cruise ships visiting hundreds of destinations for varying duration, Princess Cruises is a cruise line, well known in the United States, that’s also a global cruise and tour company. The main selling point of Princess Cruises is its array of options that allow passengers to customize their vacations. With different dining, entertainment, and amenities available the passenger can create their own made-to-order escape. 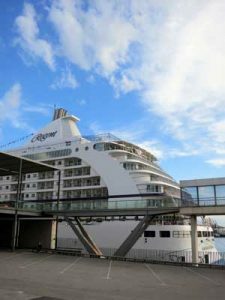 This cruise line serves most of the countries of the world, and it has a strong presence in the United States as well. These are but a few of the numerous cruise lines that ply their trade spanning continents and traversing oceans. Other well-known cruise lines are Carnival Cruise Lines, Holland America Line, Norwegian Coastal Voyage Inc., Oceania Cruises and Regent Seven Seas Cruises.